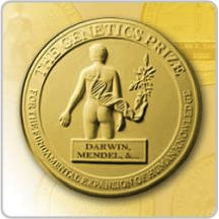 The Gruber Foundation has issued a call for nominations for its 2016 Gruber International Prize Program, honoring leaders in Genetics, Cosmology, and Neuroscience. Each prize, which is accompanied by a $500,000 unrestricted monetary award, is designed both to recognize groundbreaking work in each field and to inspire additional efforts that affect fundamental shifts in knowledge and culture. Recipients are selected by a committee of distinguished experts in each field. The current Genetics Selection Advisory Board includes several GSA members: Bonnie L. Bassler, Utpal Banerjee, and Martin Chalfie. Nomination forms should be completed and submitted online. Please go to http://gruber.yale.edu/prize-nominations for complete details and access to forms. The deadline for nominations is December 15, 2015.